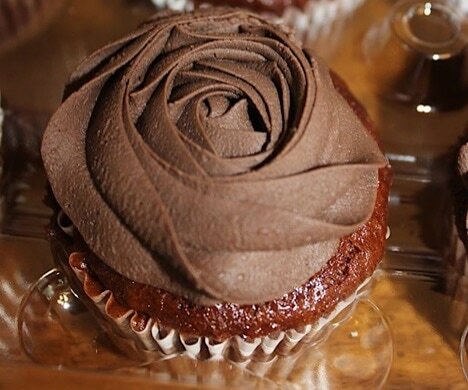 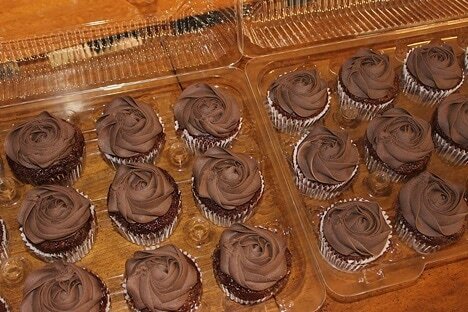 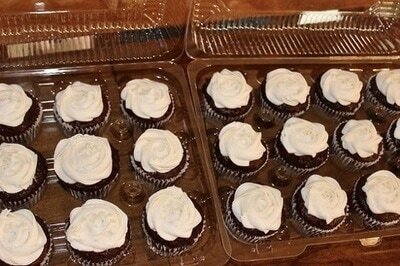 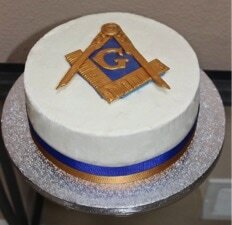 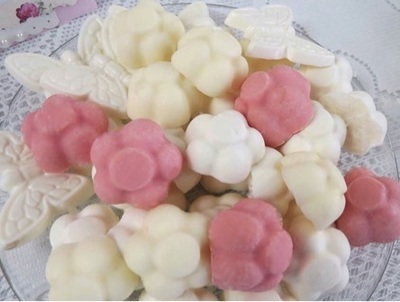 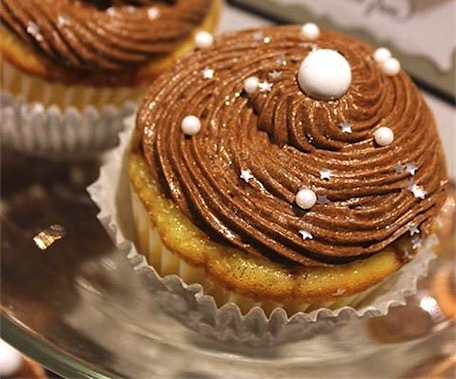 ​MUST BE REFRIGERATED Until Serving! 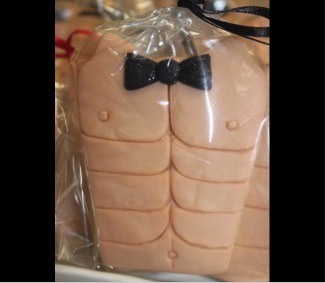 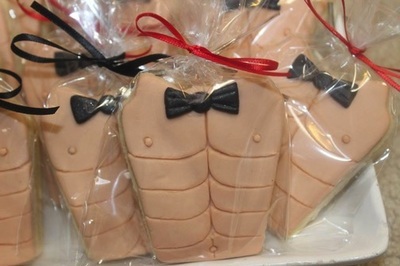 "Chippendale" (Naughty but fun!) 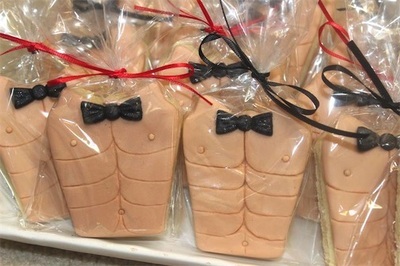 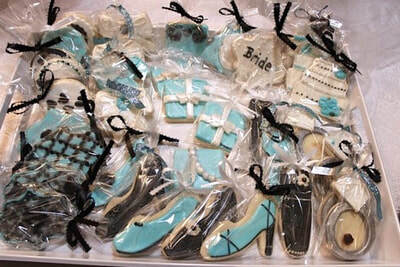 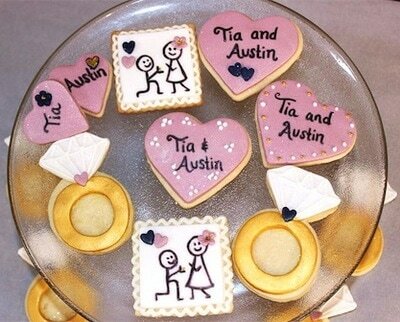 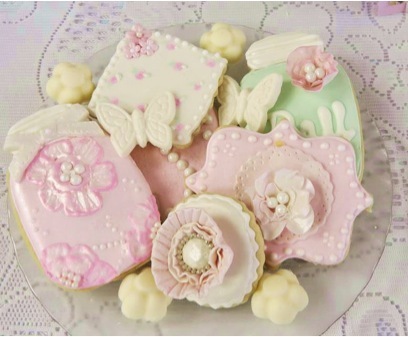 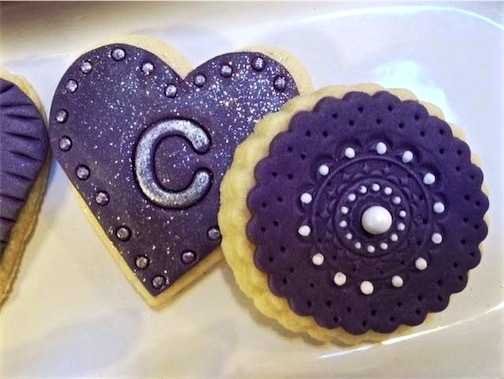 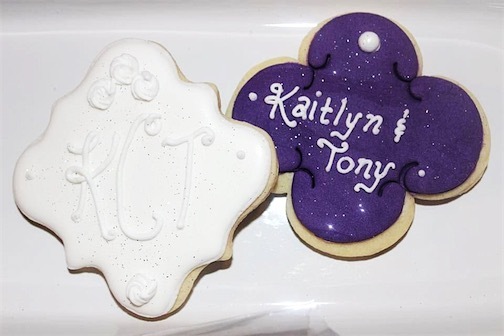 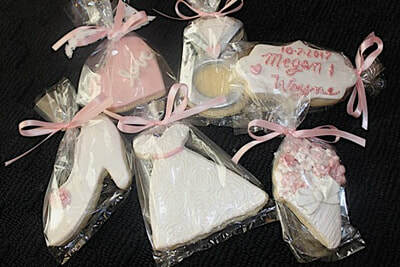 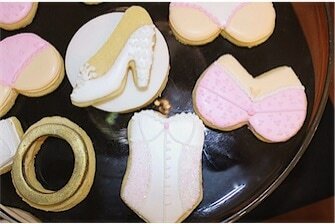 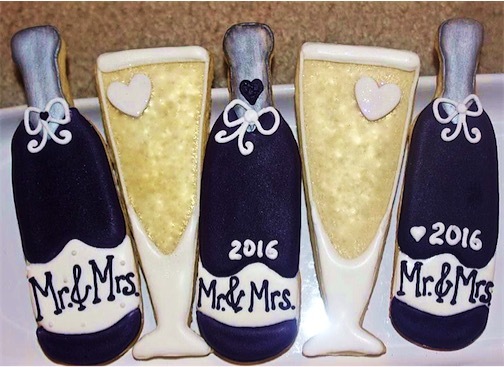 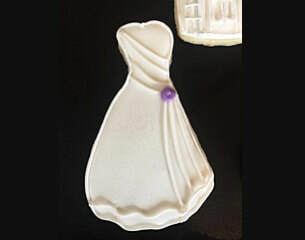 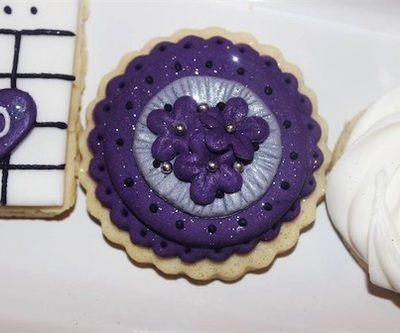 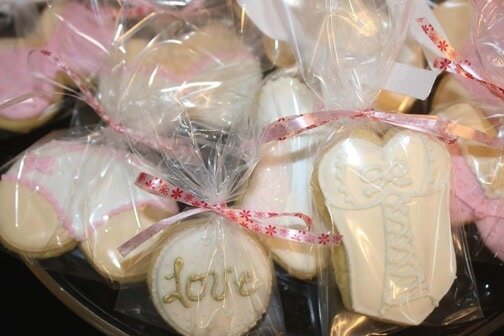 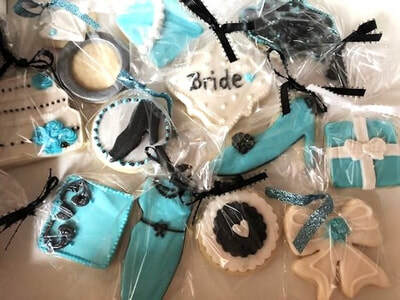 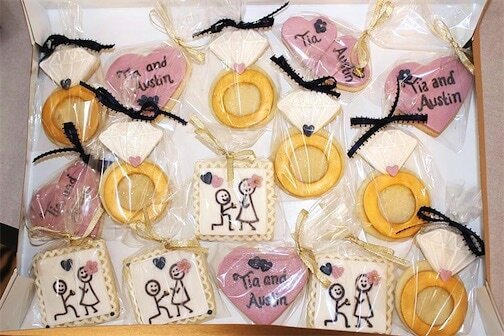 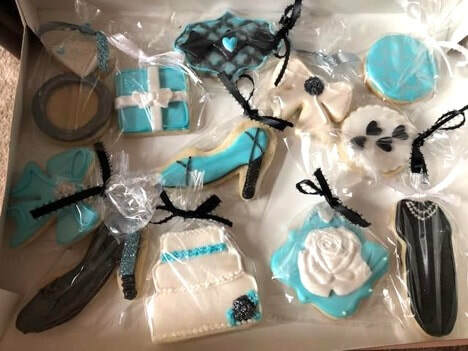 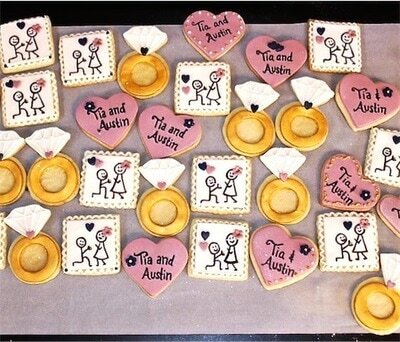 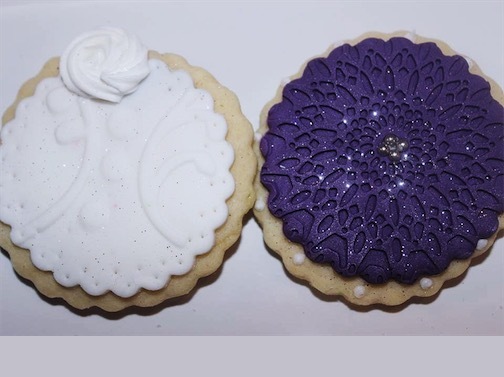 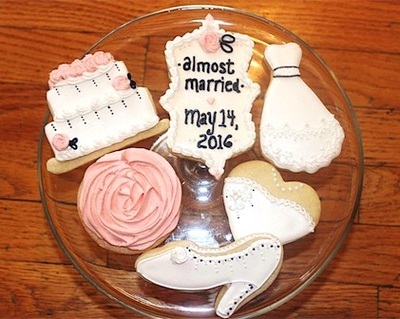 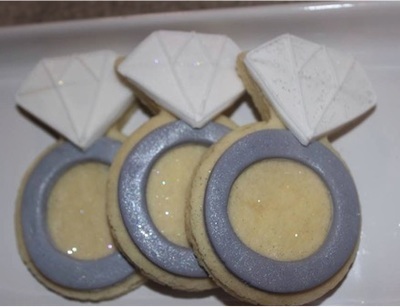 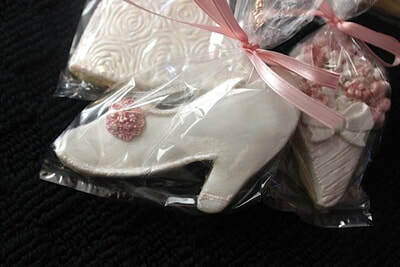 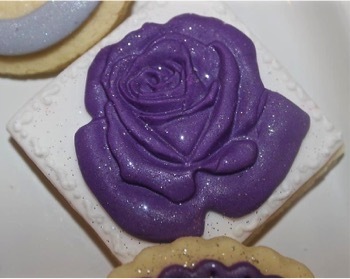 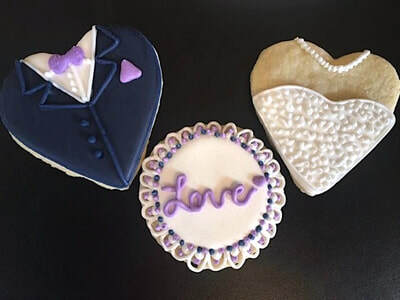 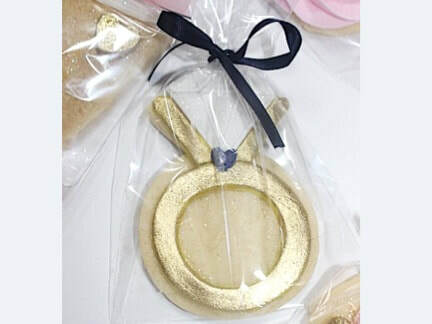 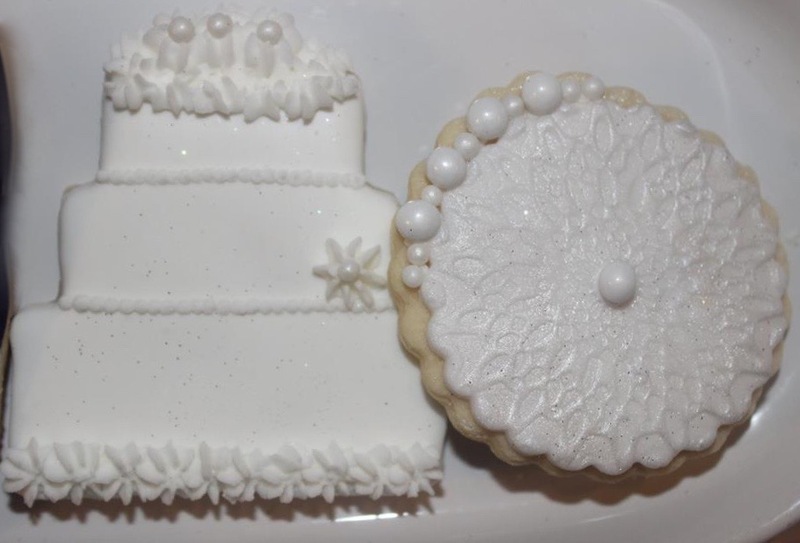 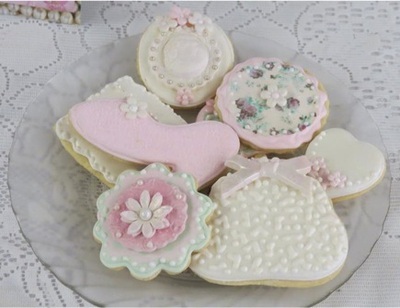 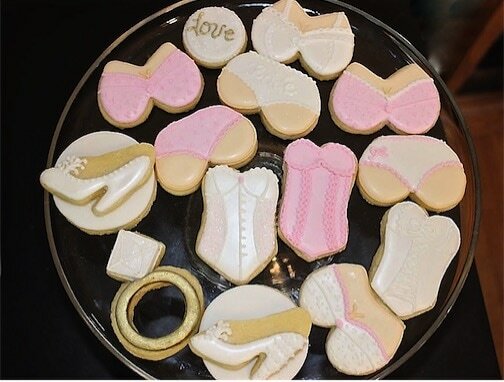 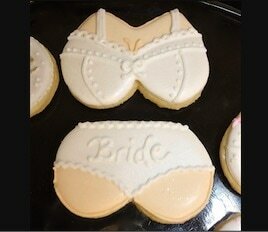 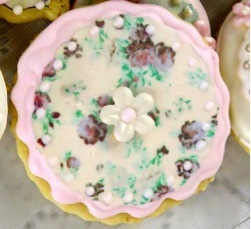 Bridal Shower Cookies! 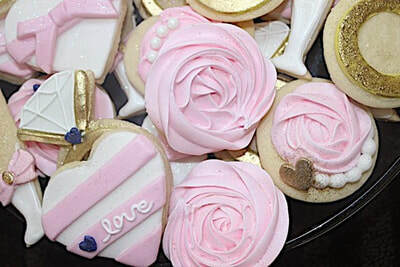 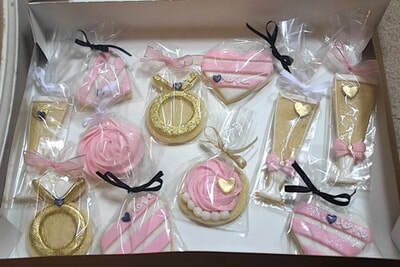 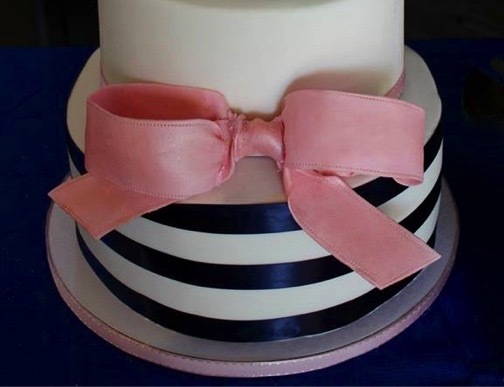 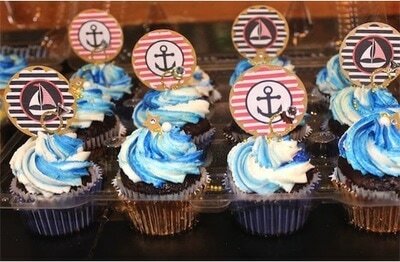 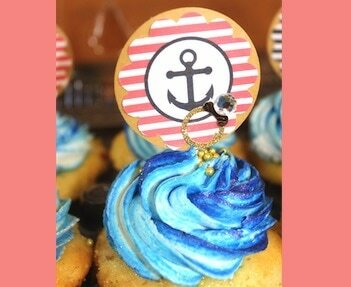 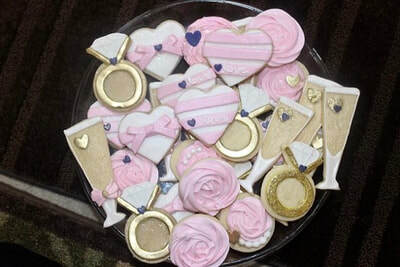 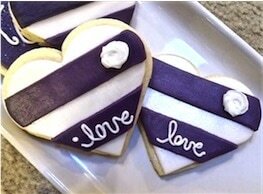 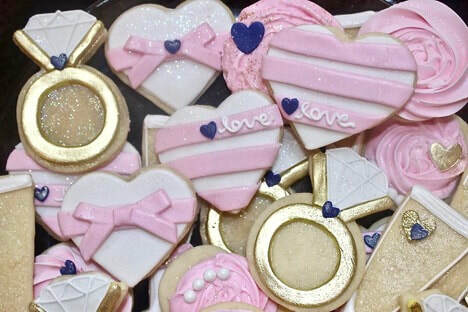 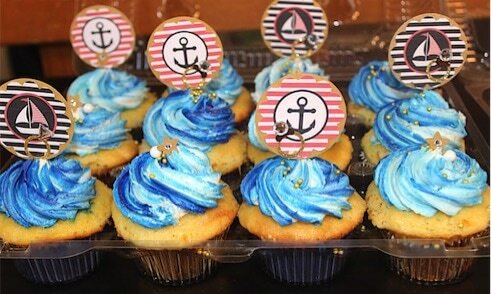 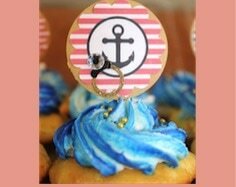 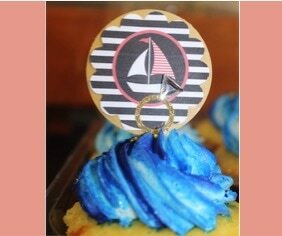 Navy & Pink Bridal Shower Cookies! Gift Cookie Surprise Package for the "Bride-To-Be"! 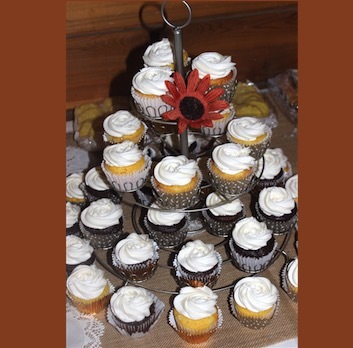 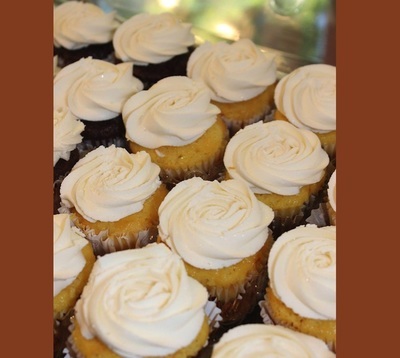 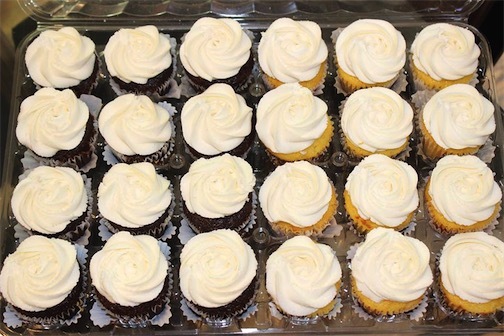 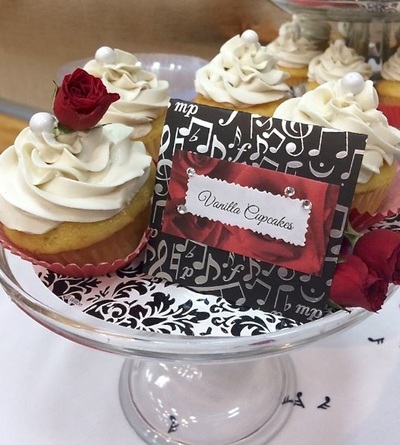 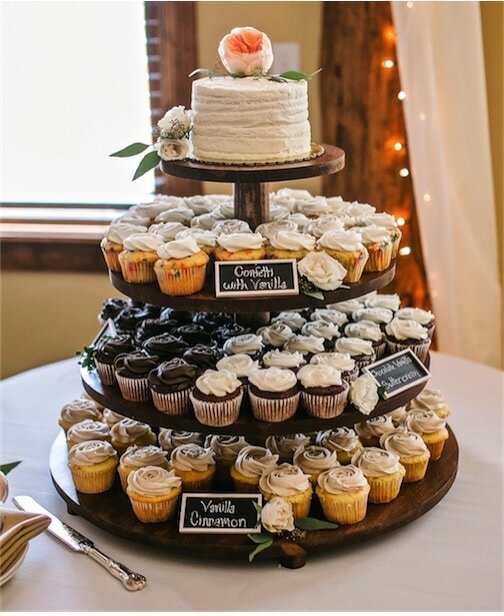 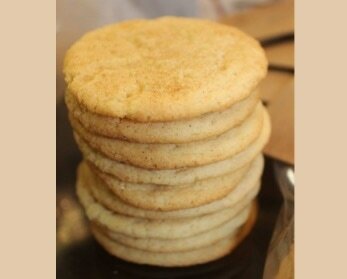 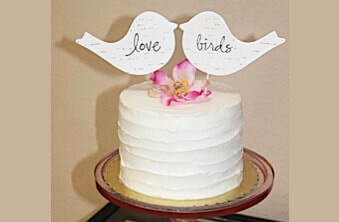 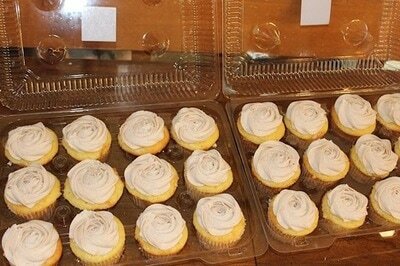 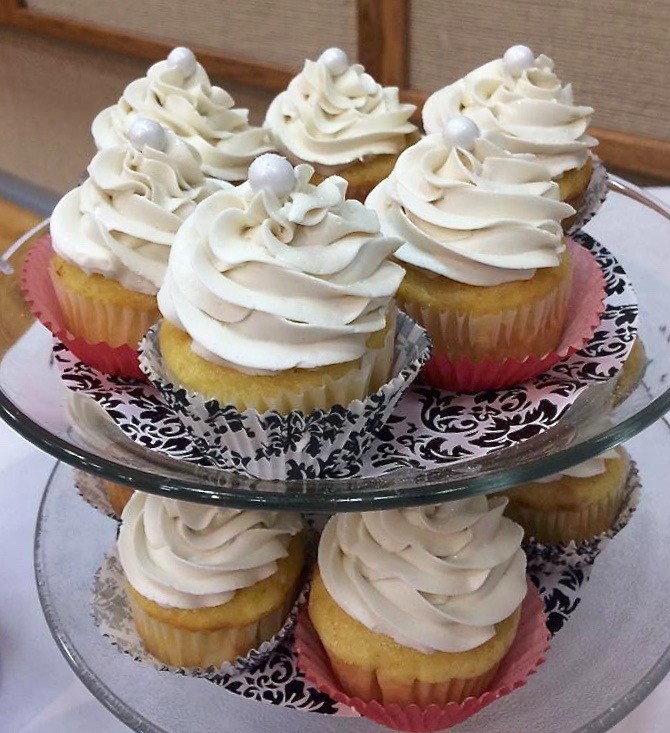 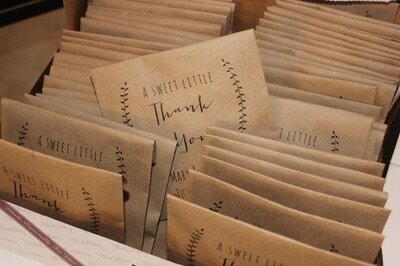 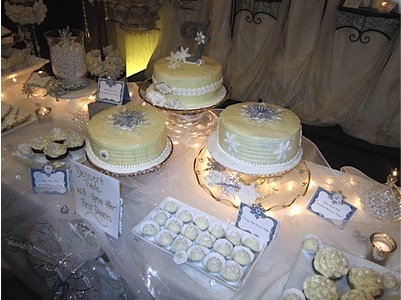 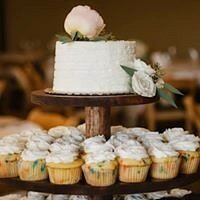 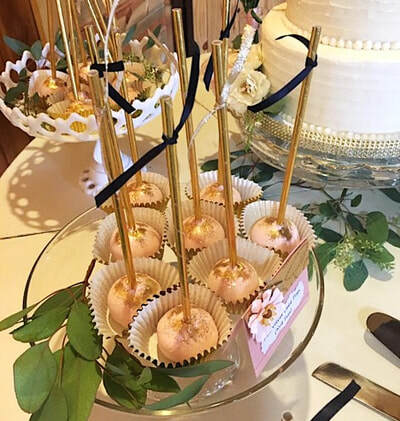 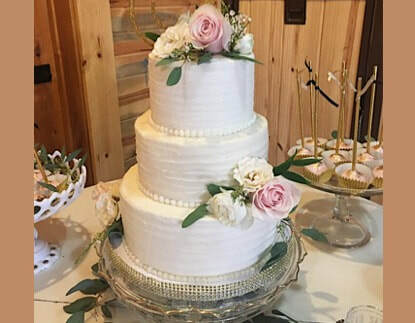 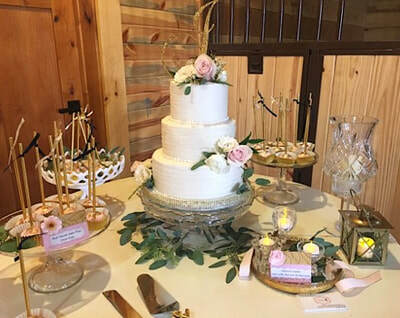 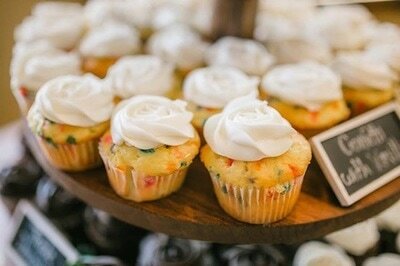 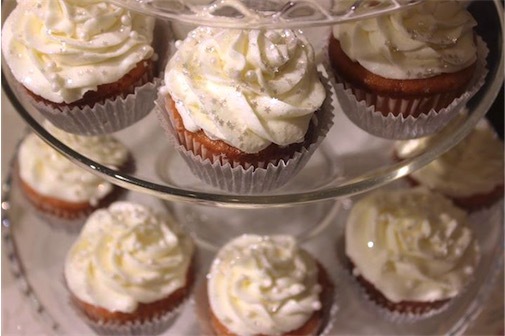 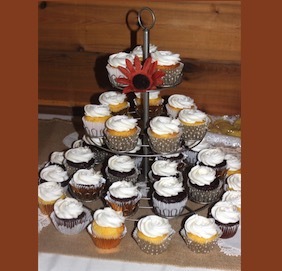 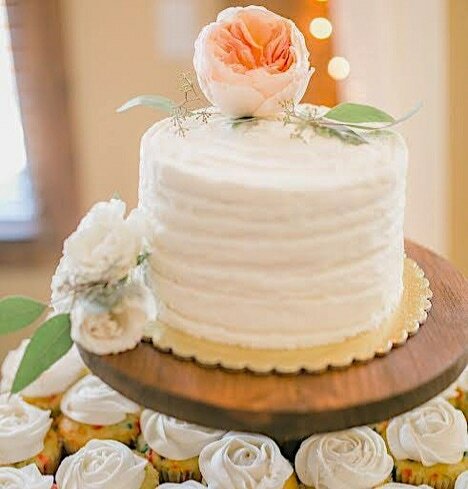 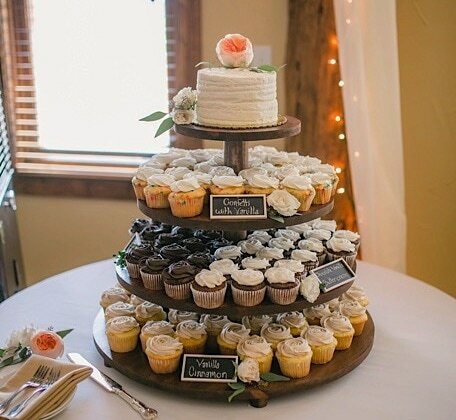 Rustic Wedding Cupcake Tower & Snickerdoodle Cookie Favors! 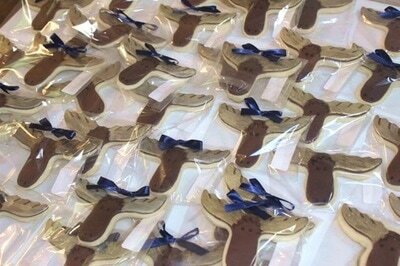 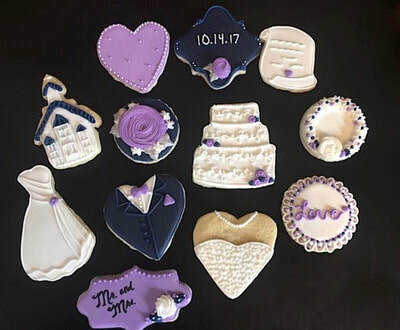 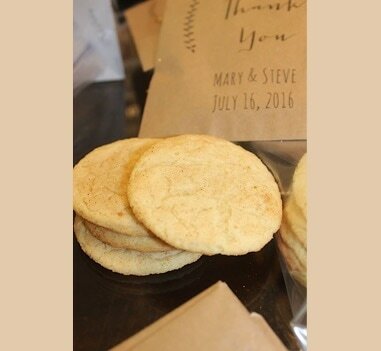 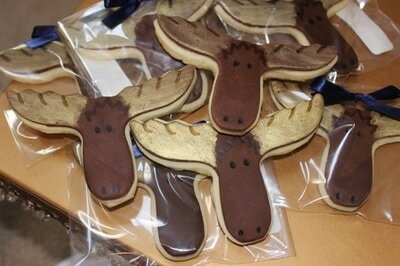 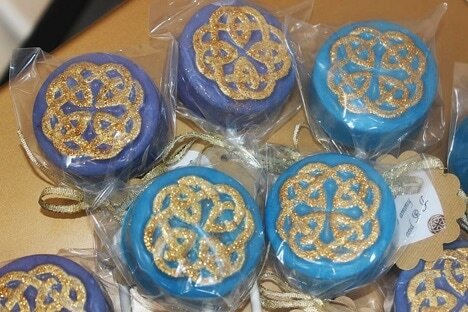 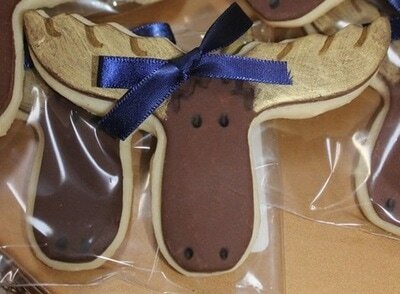 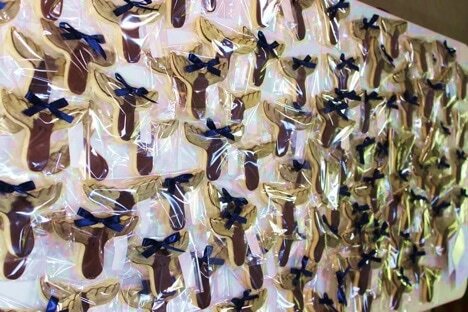 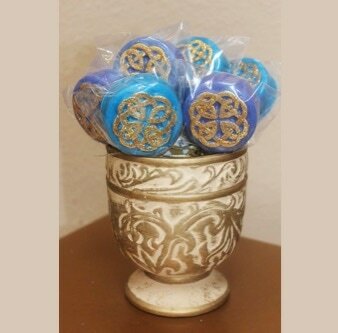 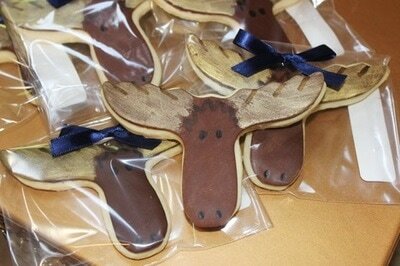 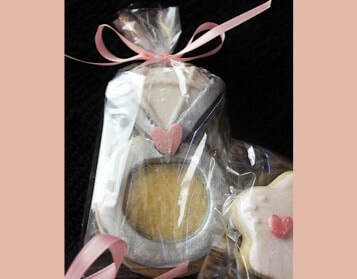 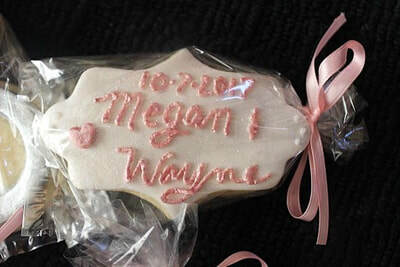 Breckenridge Mountain Wedding Cookie Favors! 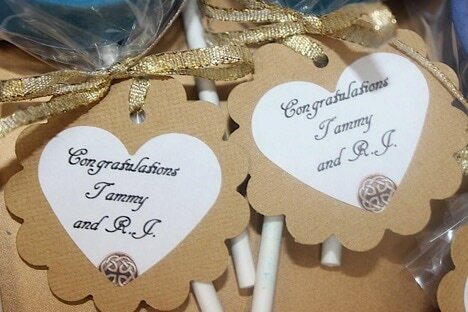 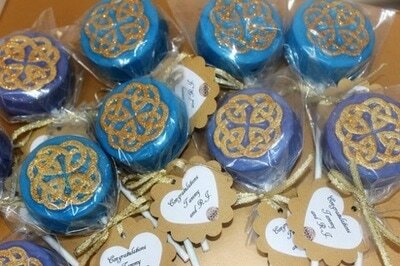 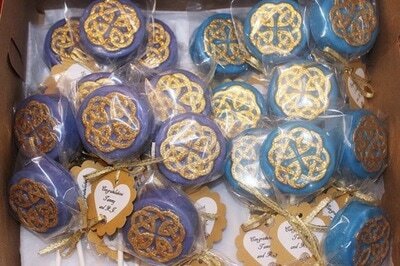 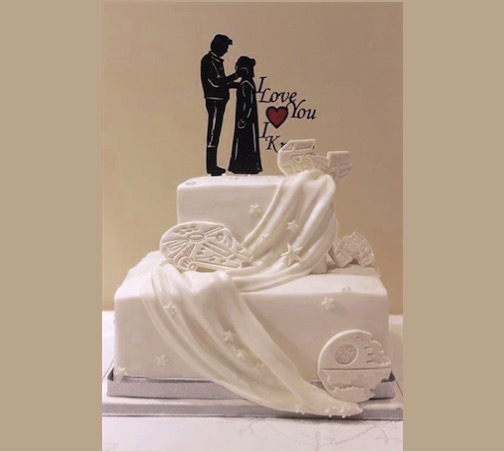 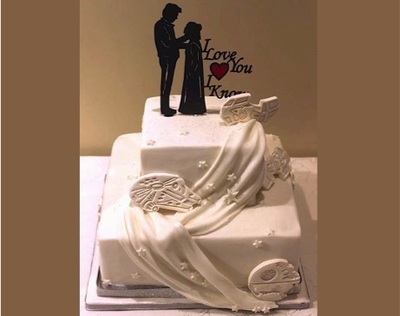 "Celtic Love Knot" Engagement Party! 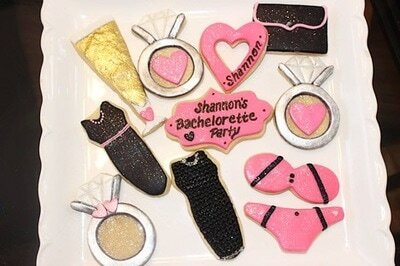 "Night On The Town" Bachelorette Party! 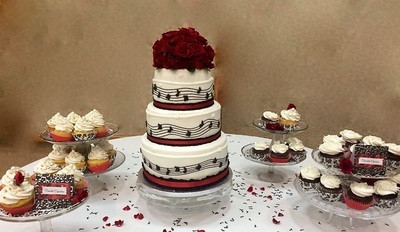 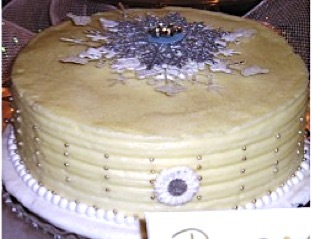 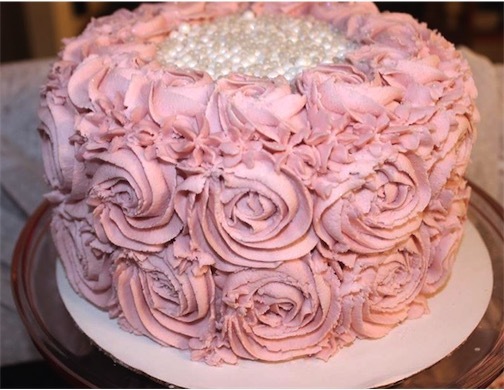 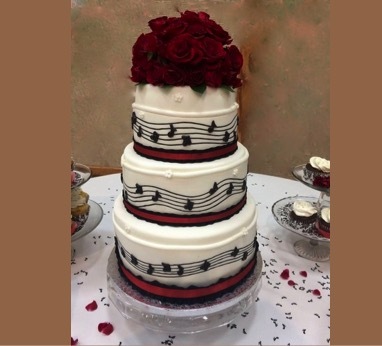 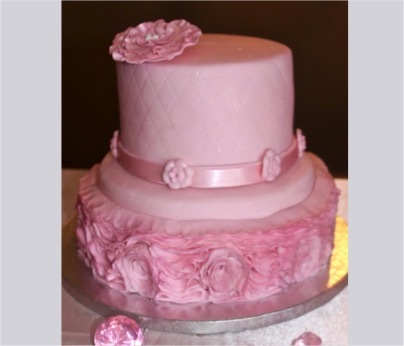 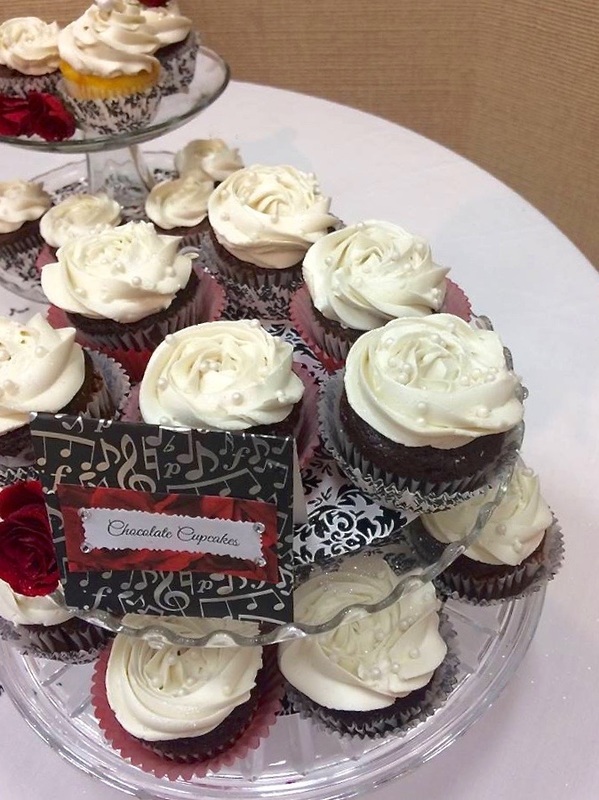 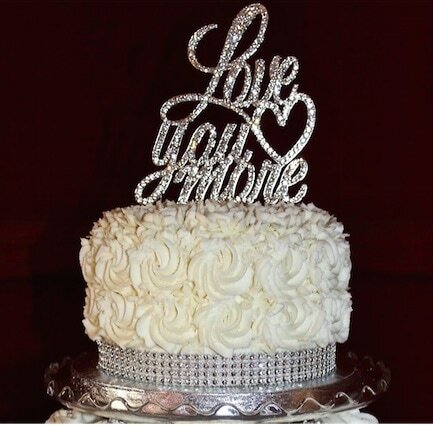 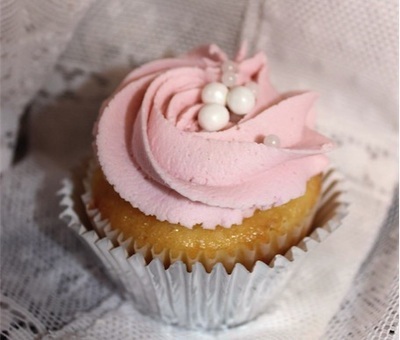 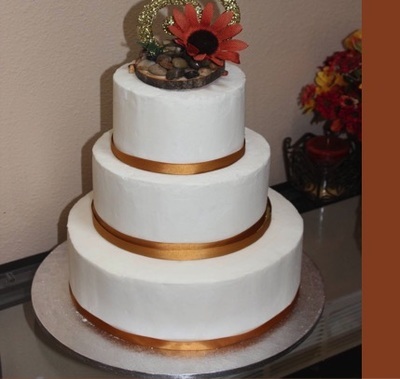 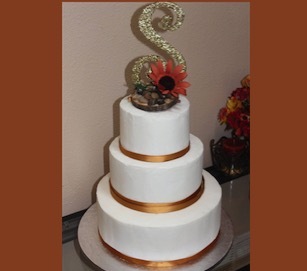 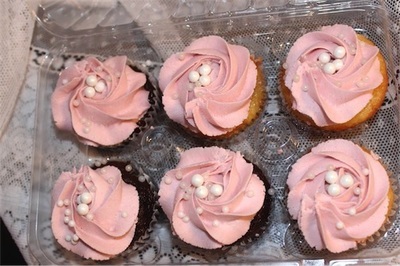 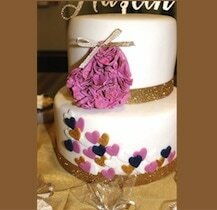 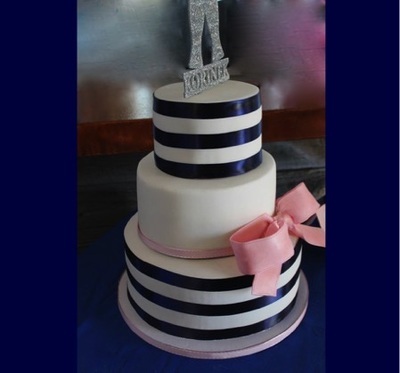 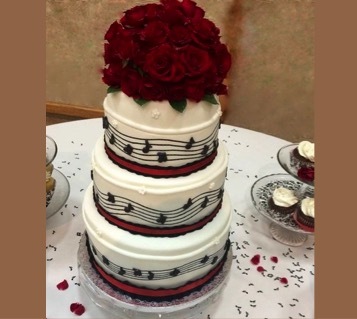 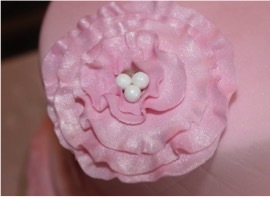 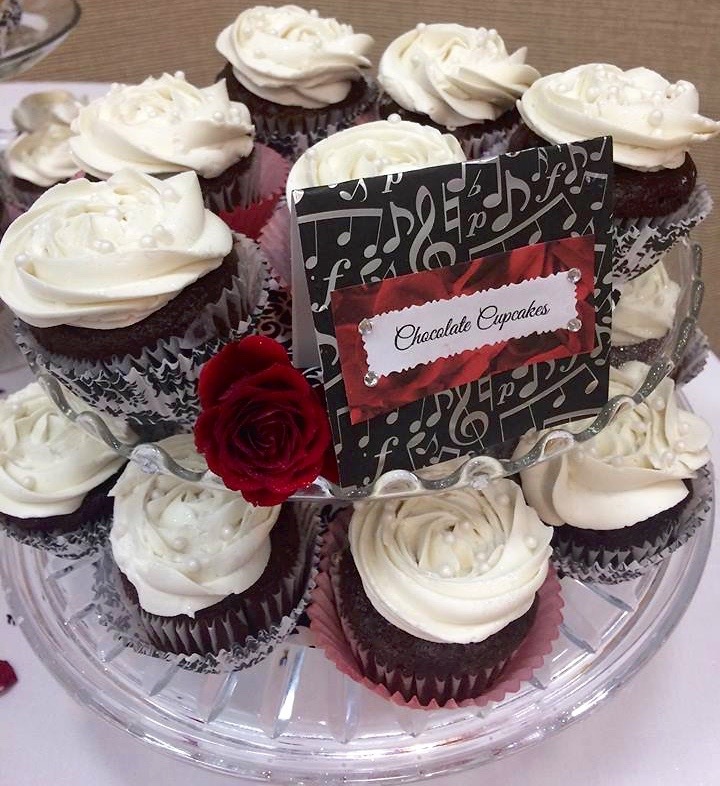 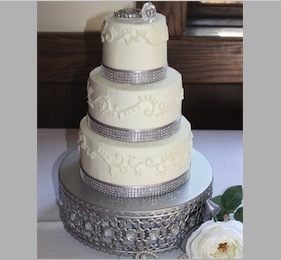 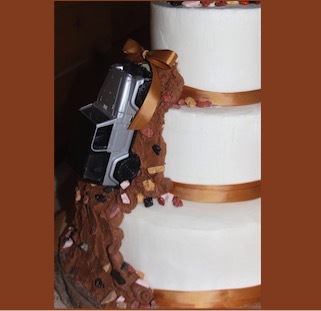 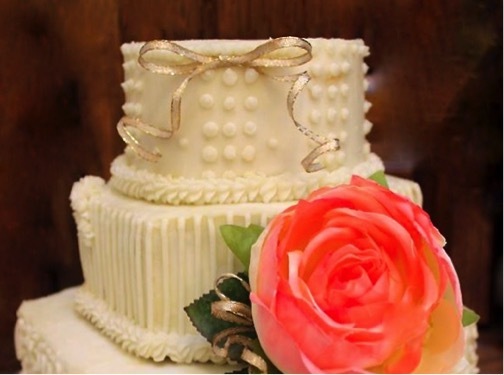 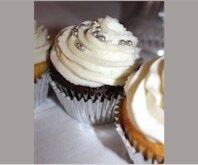 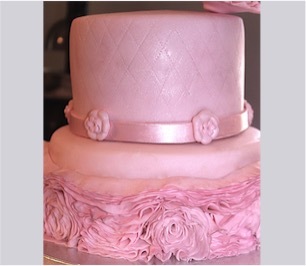 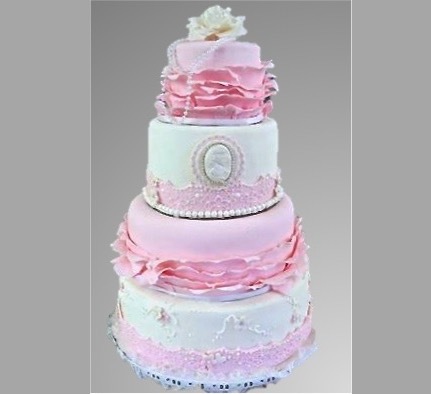 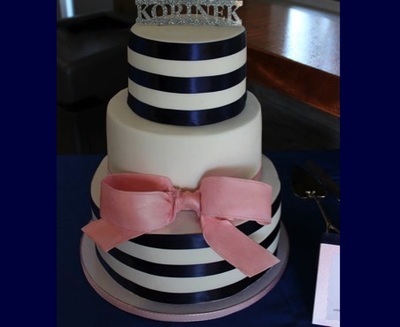 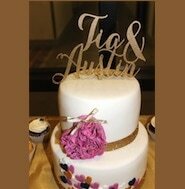 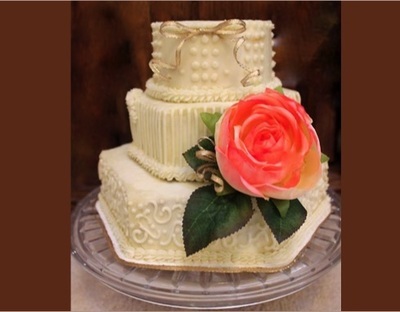 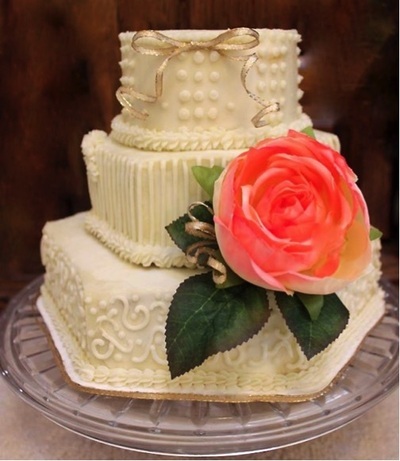 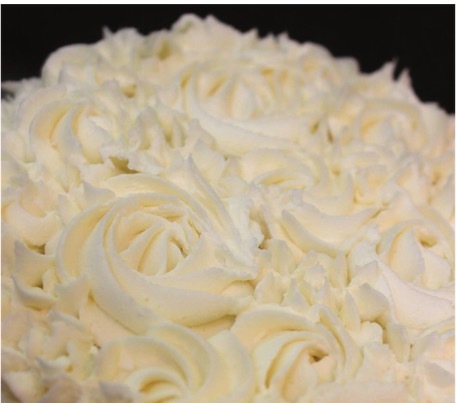 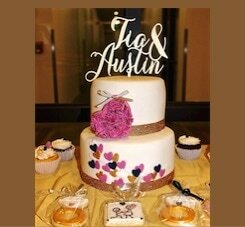 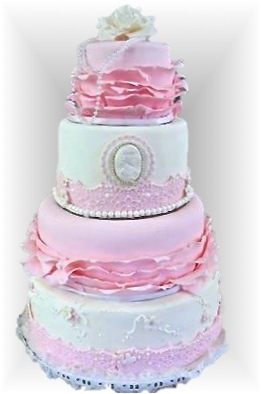 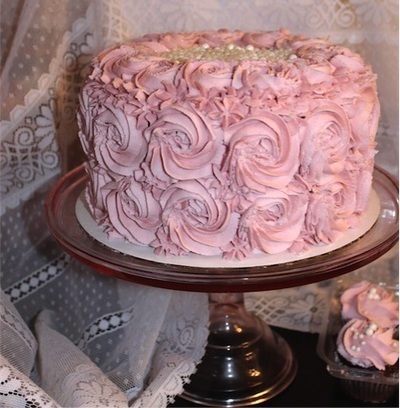 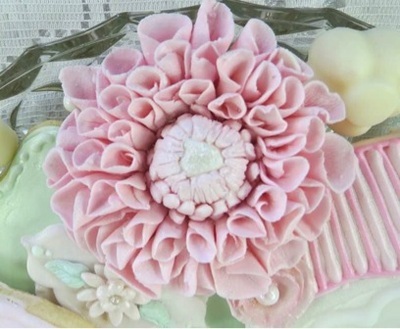 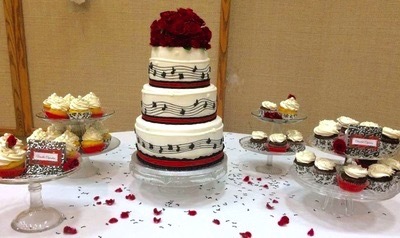 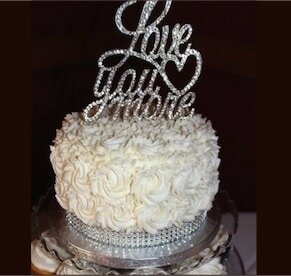 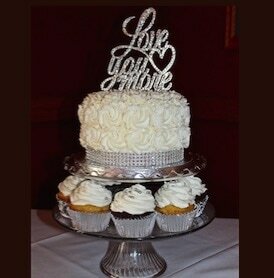 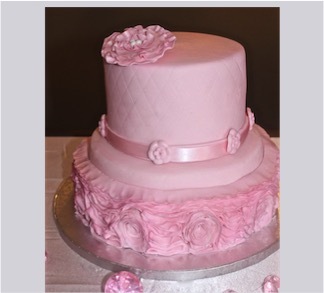 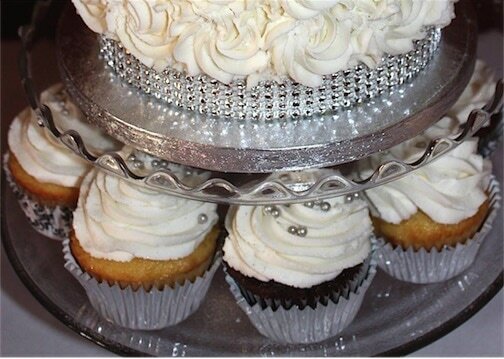 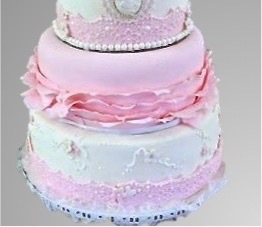 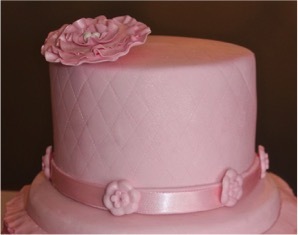 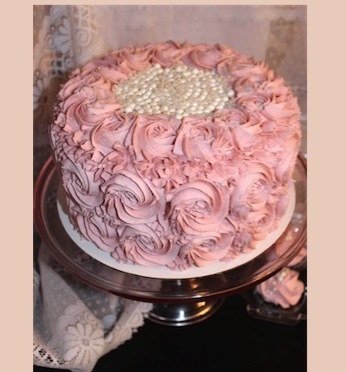 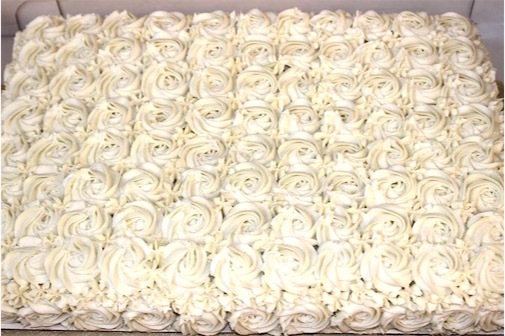 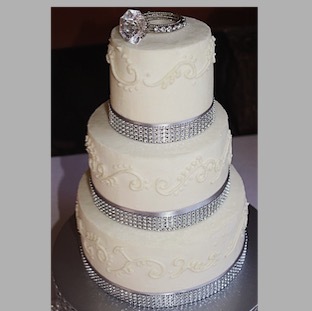 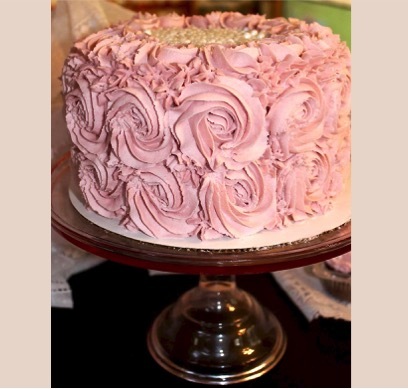 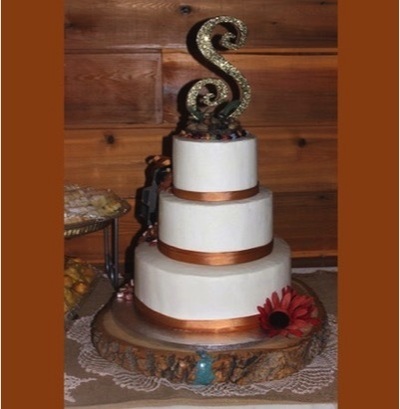 "Rhinestone Banded, Rosette Wedding Cake & Cupcakes! 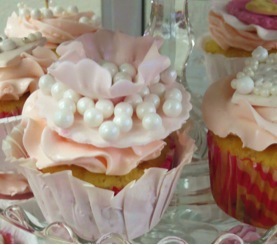 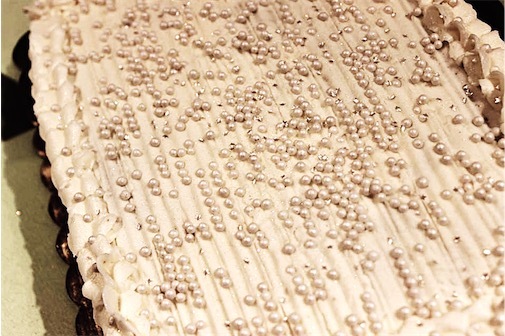 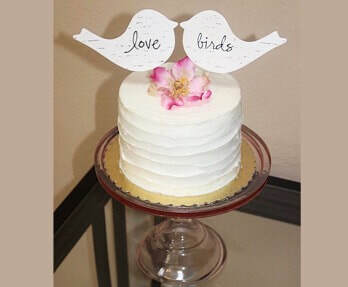 Rose & Pearl Engagement Party! 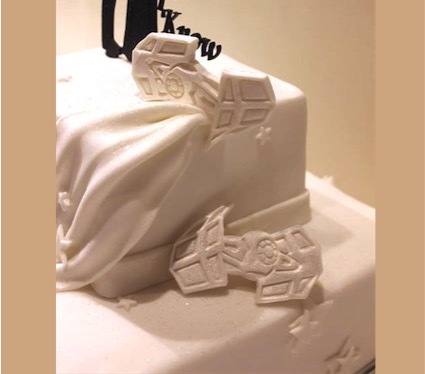 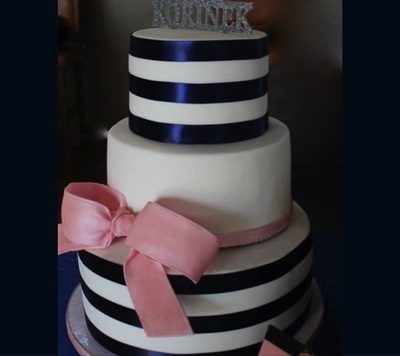 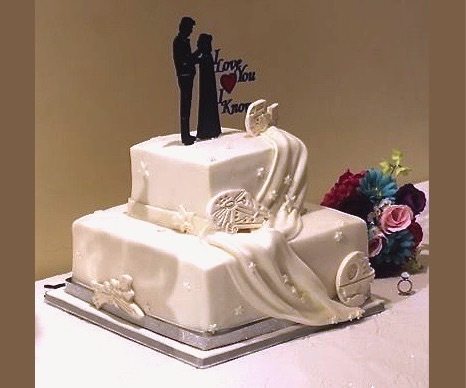 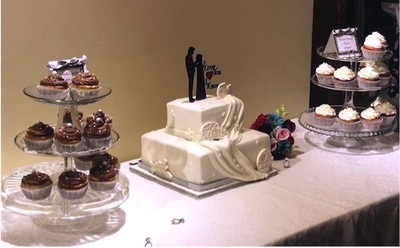 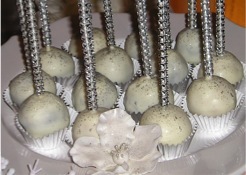 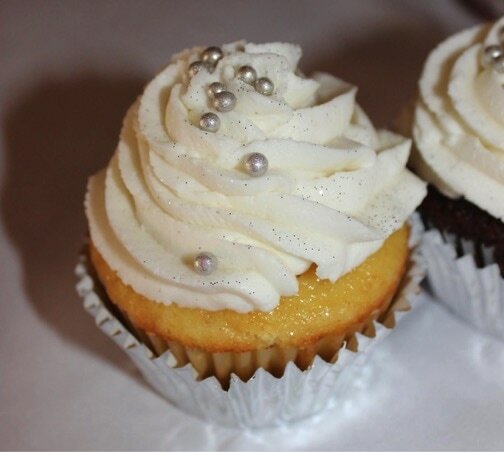 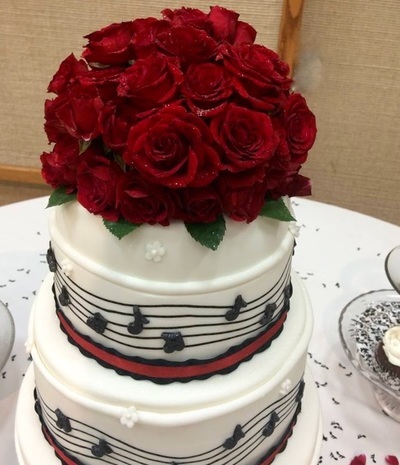 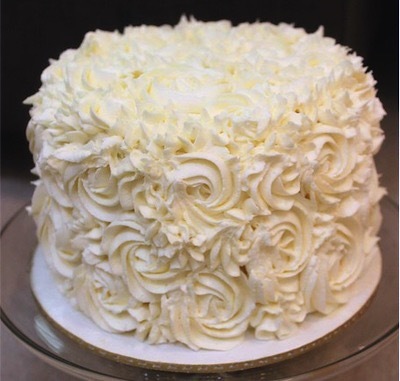 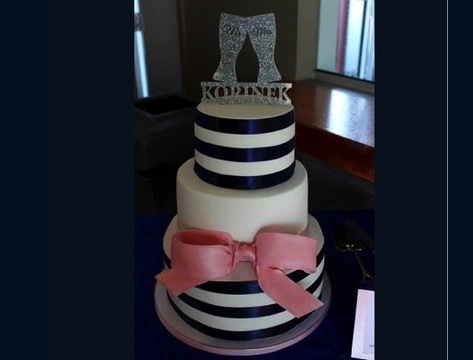 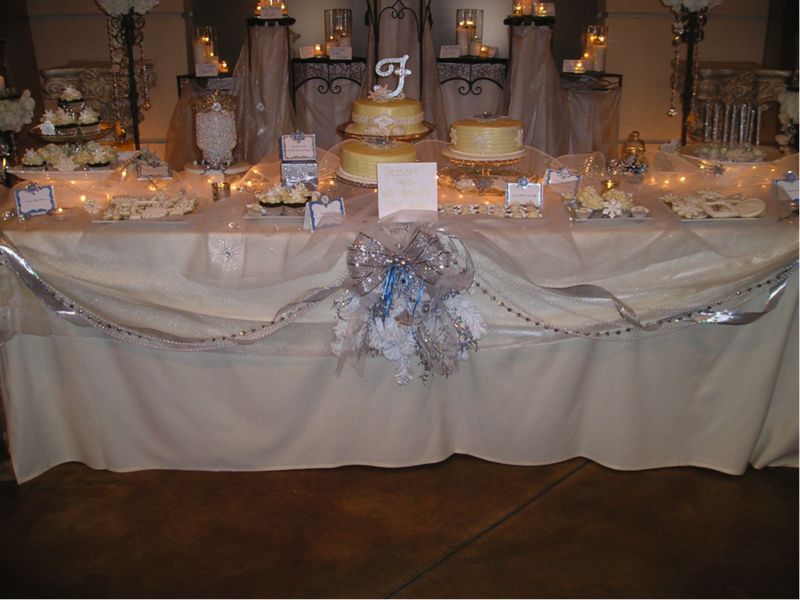 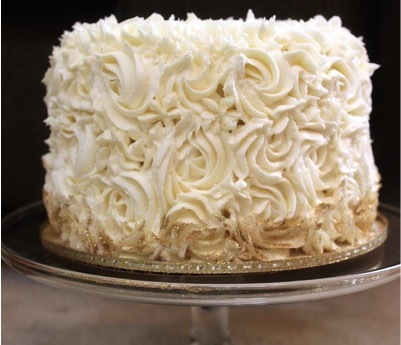 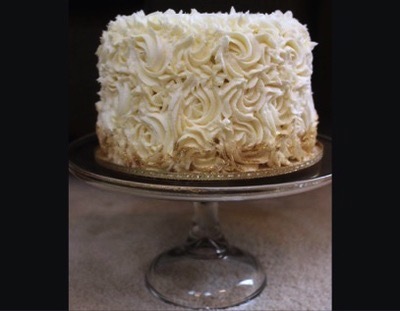 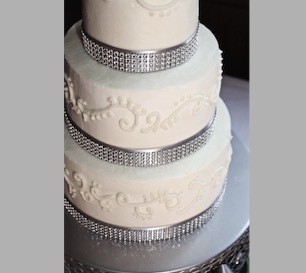 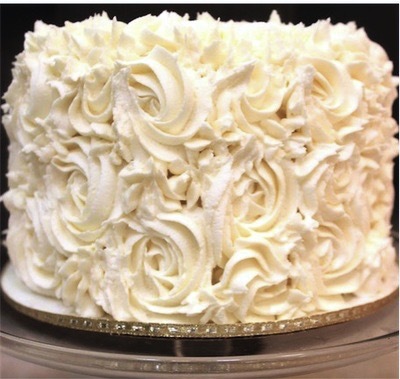 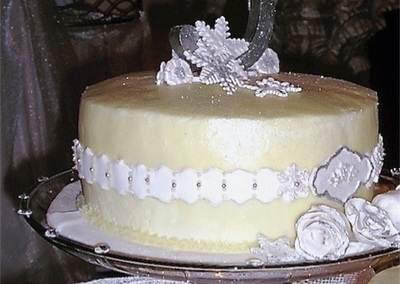 White & Silver Wedding Cake! 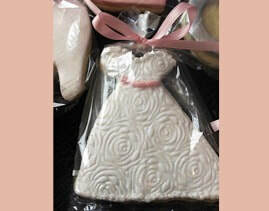 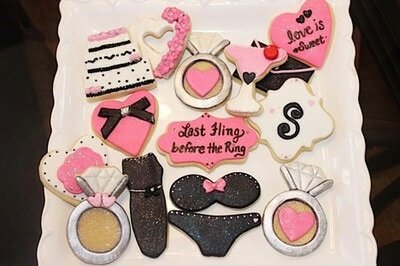 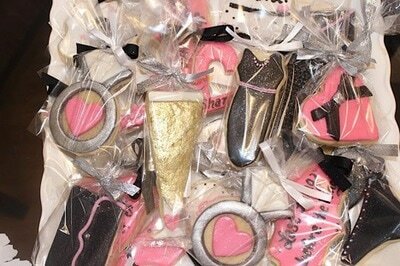 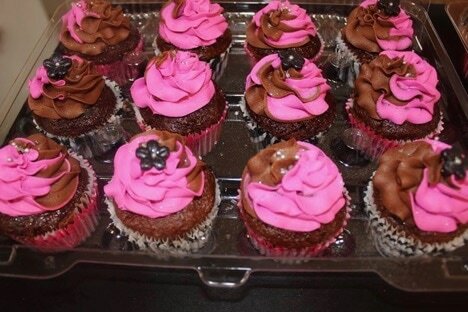 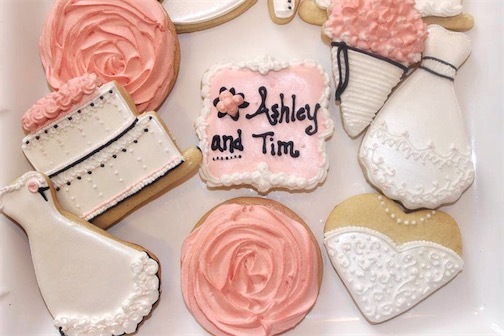 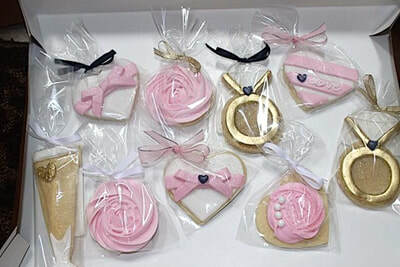 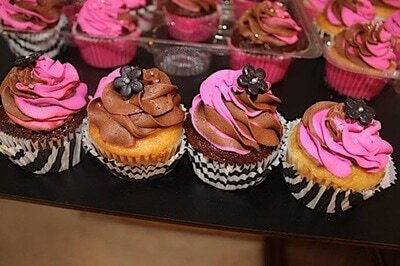 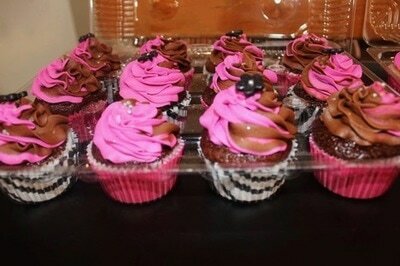 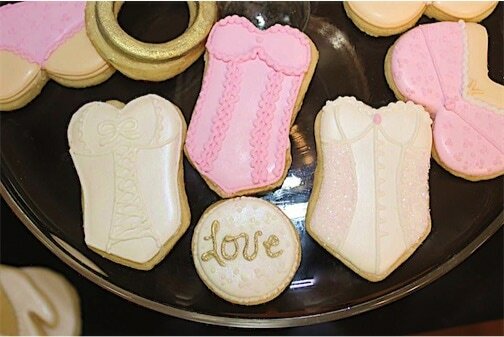 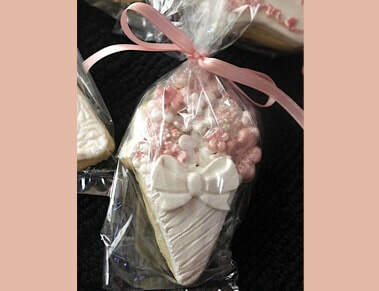 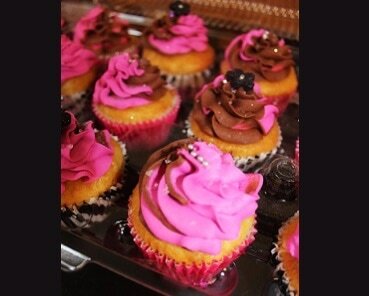 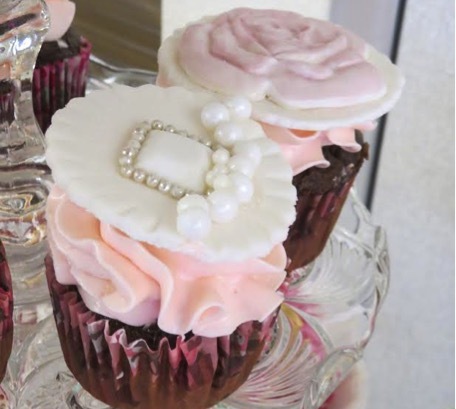 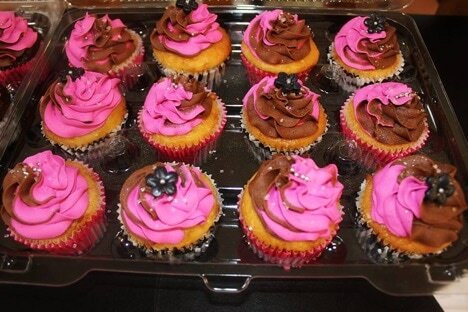 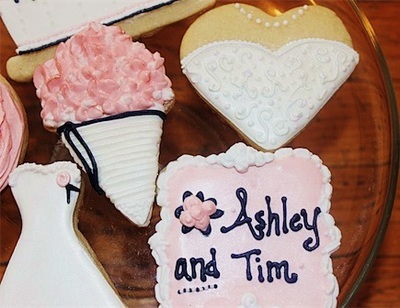 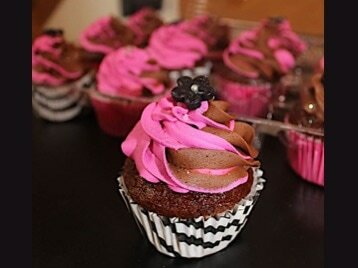 Pink & Black Bridal Shower Cookies! 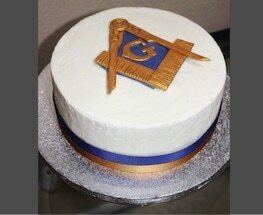 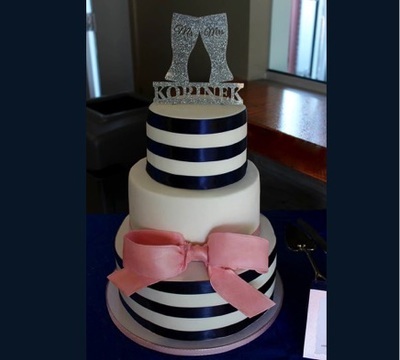 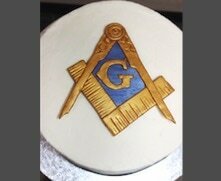 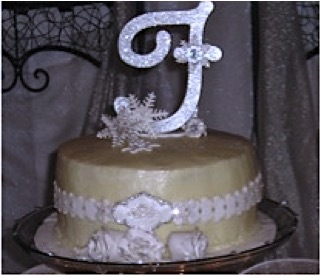 Triple Chocolate MonoGram Cake w/ Custom Top. 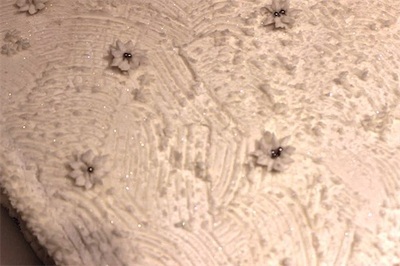 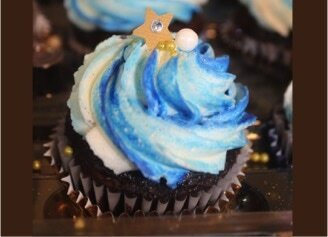 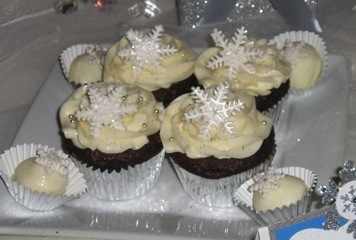 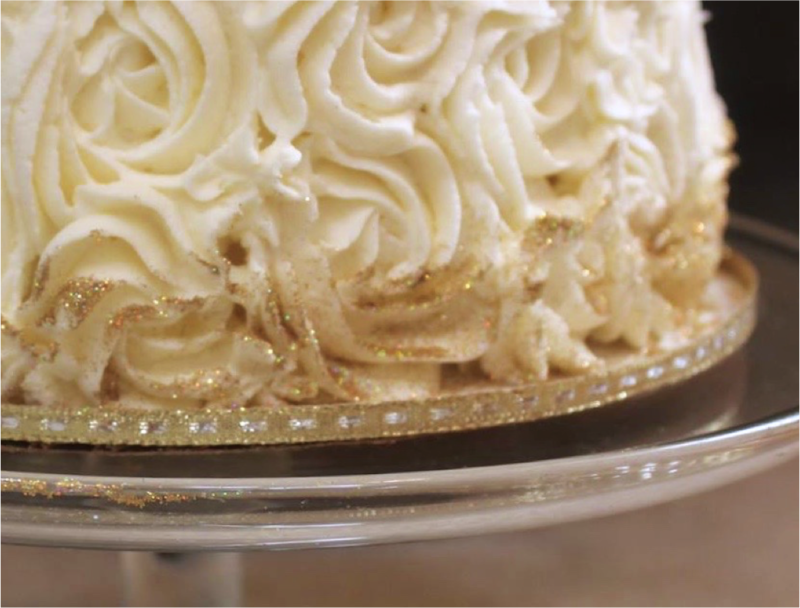 Glittery F w/ Handmade Gum-paste Snowflakes and Edible Rhinestones. 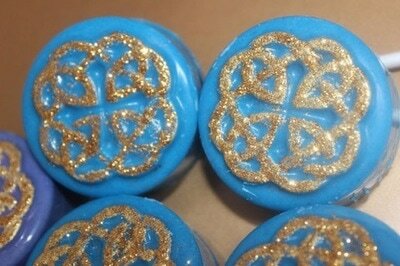 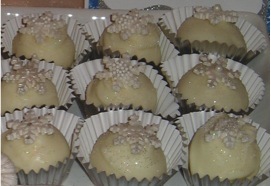 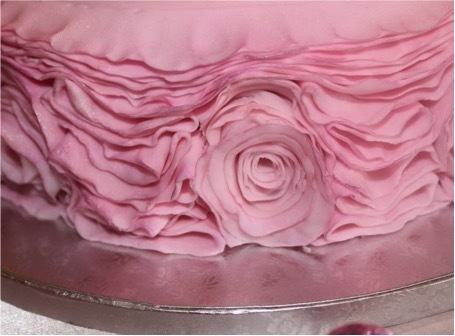 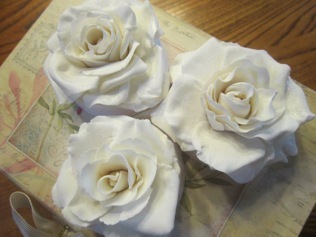 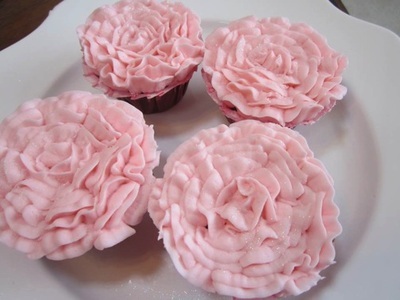 Fondant Roses w/ Silver Etching. 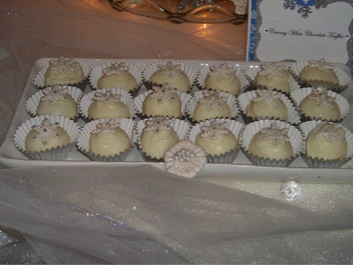 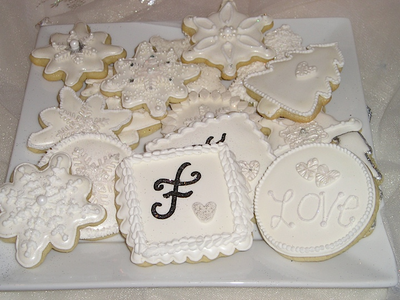 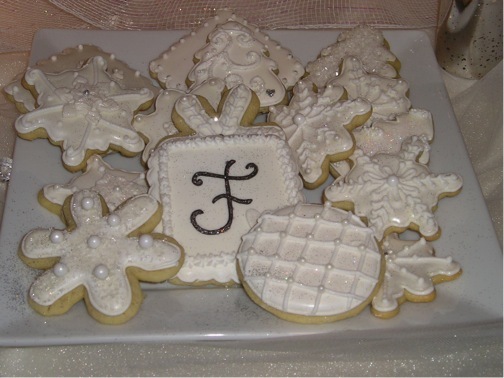 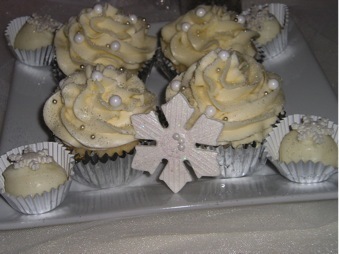 Winter Wonderland Wedding Royal Iced Snowflake Cookies. 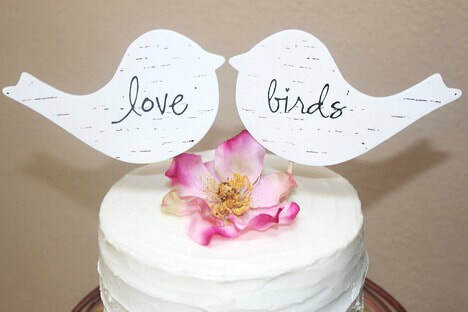 Free Hand Script F.